Meetings begin in Bloomfield, N. Mexico » Our Hispanic church in Bloomfield, N. Mexico, began an evangelistic series in the town’s Bloomfield Cultural Complex. 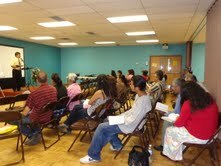 Pastor Ruben Balaguer is the speaker. Let’s all pray for him and everyone involved as they reach out to their community with our message of hope. Witnessing makes a difference » Because of the Christ-like way in which Suzanne Sterling, a member of the Arkansas Valley (Colo.) SDA Church, lives her life, Michael Mihalas wanted to know more about what she believes. He began to study with Pastor Dale Fuhrmeister and was baptized on July 21. Thank you, Suzanne, for your Christian witness, and welcome to the family, Michael! 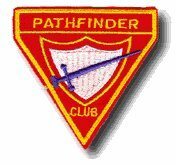 Pathfinder Leadership Convention » register now for the 2012 Leadership Convention at Glacier View Ranch, September 14-16. Contact Jessica Weaver at the Rocky Mountain Conference Youth Department, [email protected] or Chris Hill at [email protected] for more information. Youth, family and children’s ministry classes will be presented, as well as leadership training for Pathfinders and Adventurers. Advent Source will also be there to support this event. 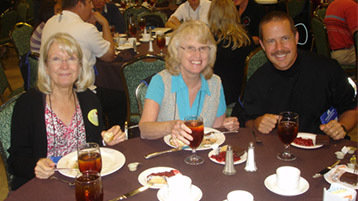 RMC teachers attend NAD Teachers Convention » The NAD Teachers' Convention in Nashville, Tenn., was a tremendous event. With incredible worship speakers and nearly 600 breakout seminars available, I believe all was blessed greatly! Great work, Larry Blackmer and the whole NAD education team. Your hard work planning this convention will truly make a difference in the lives of thousands of children for eternity. On the road » After the NAD Teachers' Convention, my wife, Diane, and I headed to Cincinnati, Ohio, to take part in the ASI International Convention. The sessions there were full of amazing stories about the good work being done all around the world for Jesus. After an afternoon NAD meeting, we headed home to Colorado to worship at the Korean Camp Meeting taking place at Glacier View Ranch this weekend. On Sunday, our RMC ministers meetings will begin at Glacier View Ranch. I invite your prayers for us as we come together to fellowship, worship and learn of how we can be even more effective in our work for Jesus.